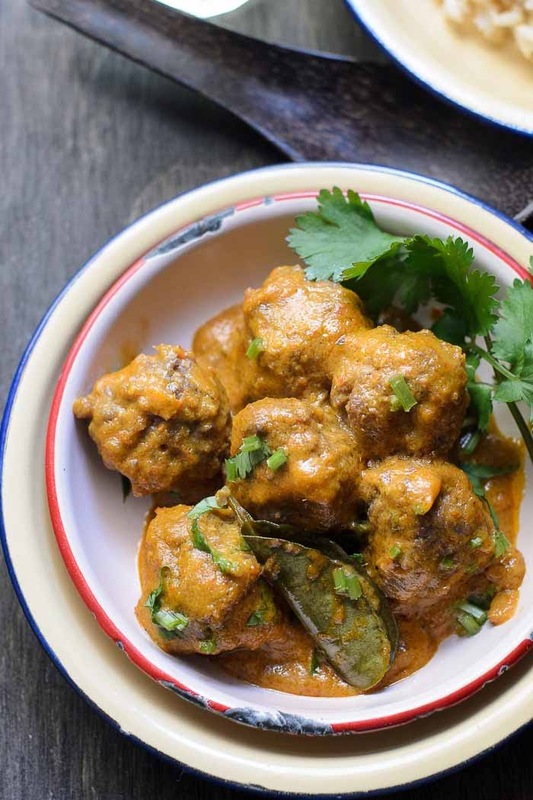 Delicious creamy nutty red curry meatballs is also known as Panang curry. ...is to make this creamy red curry meatballs also as known as Phanaeng curry or Panang curry or Penang curry, were said to be from Penang. I will not delve into the origin of Panang curry, as I am not an expert in Thai culinary. plus... I always thought that this creamy red curry dish, originate from Thailand, after all red curry is from Thailand! 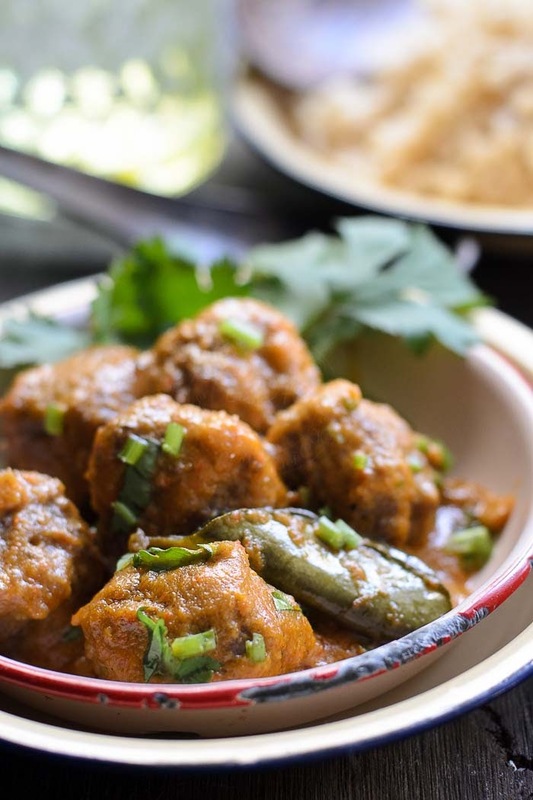 If you do a google search, you will find pages and pages of Panang curry listed. What makes Panang curry, a "Panang curry"? In my humble opinion, the key ingredient is PEANUT! What separate Panang curry from 'normal' red curry is the nutty taste! Without adding crushed or peanut butter (as per my recipe), it'll be just another Thai red curry. .... and the sauce is much thicker!!! Panang curry has been my family favourite for years. I have only been using minced beef for my Panang curry, mince beef absorb the flavours much better than chunky beef. I have yet to try but I much prefer to have my green curry chicken actually :). 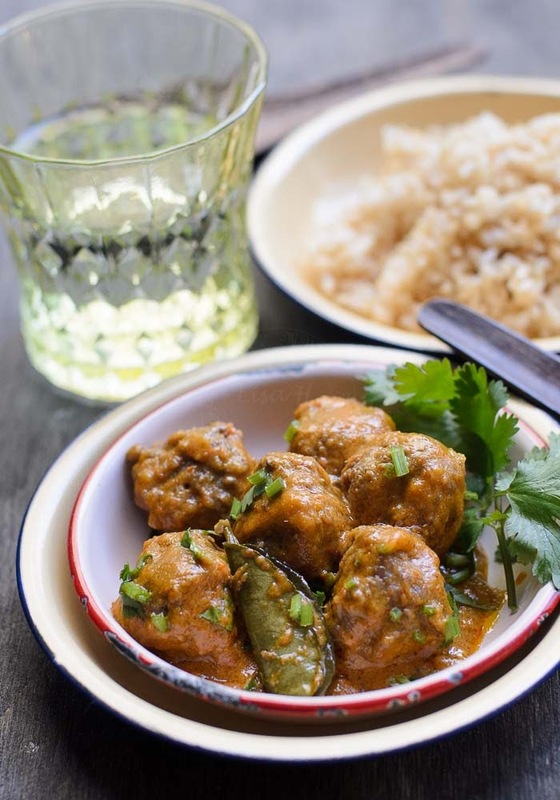 Delicious creamy red curry meatballs or known as Panang curry, rich with flavours from South-east Asia region. Coat each meatballs with corn flour. Dust off excess flour. Brown meatballs. Remove to kitchen paper and set aside. Wipe clean frying pan to get rid off the burnt bits and pieces. Add 2 tablespoon canola oil. Add red curry paste and cook on low fire until fragrant. Add coconut milk and peanut butter. Return meatballs to the wok and simmer for 10 minutes. Garnish with chopped coriander/ Thai basil. This curry meatballs looks so juicy and delicious! I love meatballs with rice combinations,thanks for sharing.